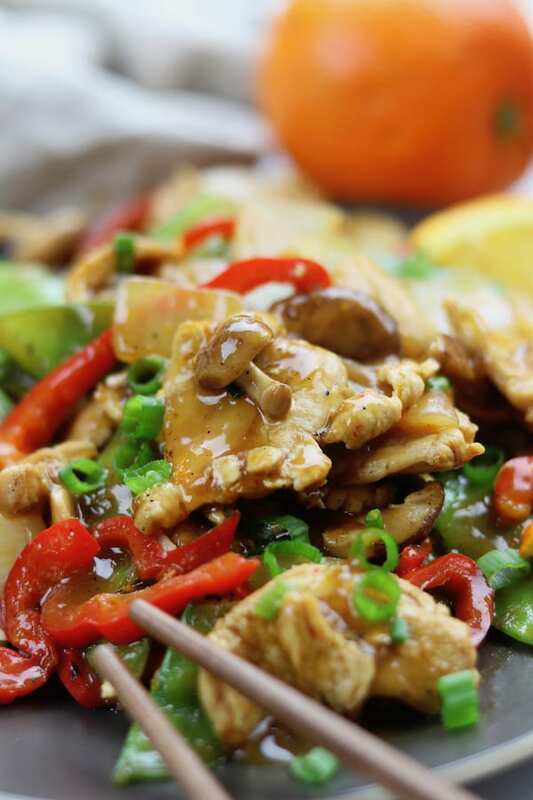 Citrus Chicken Stir Fry is clean eating at its best. 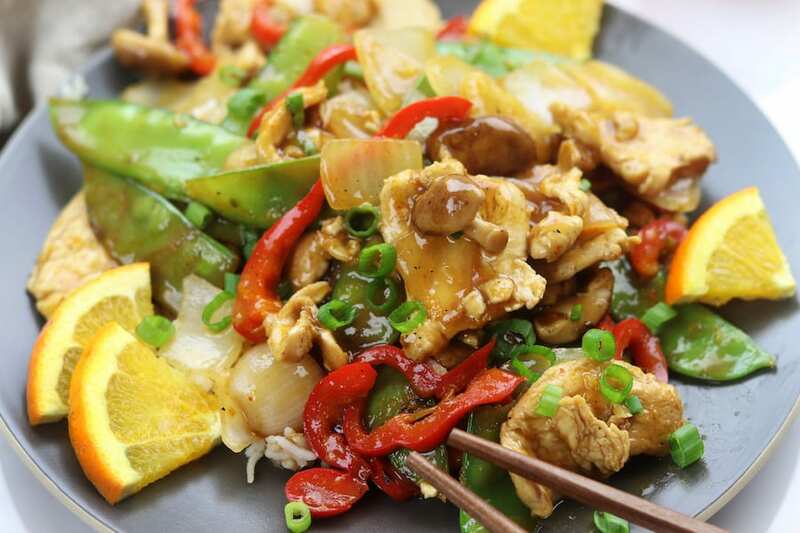 Stir fried veggies and chicken are covered in a savory soy orange sauce. 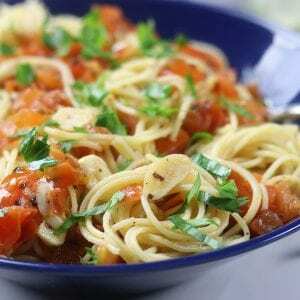 A family favorite recipe that comes together in less than 30 minutes. This post is part of a sponsored relationship with San-J however all opinions are my own. You can rest assured that I only endorse products I whole heartedly love and use. As far back as I can remember I have always been amazed by nutrition and what nutrients could do for the body. My love of things like antioxidants, phytonutrients and omega-3’s was rooted into my childhood and teen years. Back in the 70’s & 80’s food was simpler though. Food allergies, although present, were not common and don’t even get me started on autism rates and how I personally feel there is an extremely strong correlation to what has been done to our food and rising rates. Like most people, my family was as happy as a clam buying products off the shelf. 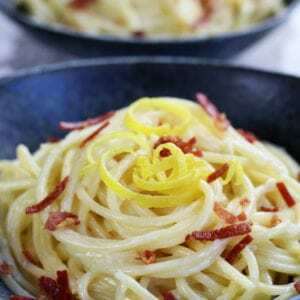 Our biggest concerns then was avoiding margarine and hydrogenated fats, that is until earlier in this decade. The reality of what had been done to our food supply hit me like a ton of bricks and change came quickly. I remember being so excited on my first trip to our local health food store and the products I was able to buy that just weren’t available in other stores. Among all my treasured purchases that day sat a beautiful bottle of Organic San-J Tamari. From day 1 I fell in love with San-J not only because their Tamari tastes phenomenal but also they are a company I can trust. They were doing clean eating before clean eating was a popular thing and I am very partial to companies who do the right thing! The best part, I no longer have to drive to that health food store because San-J is at my grocery store 5 minutes from my house. 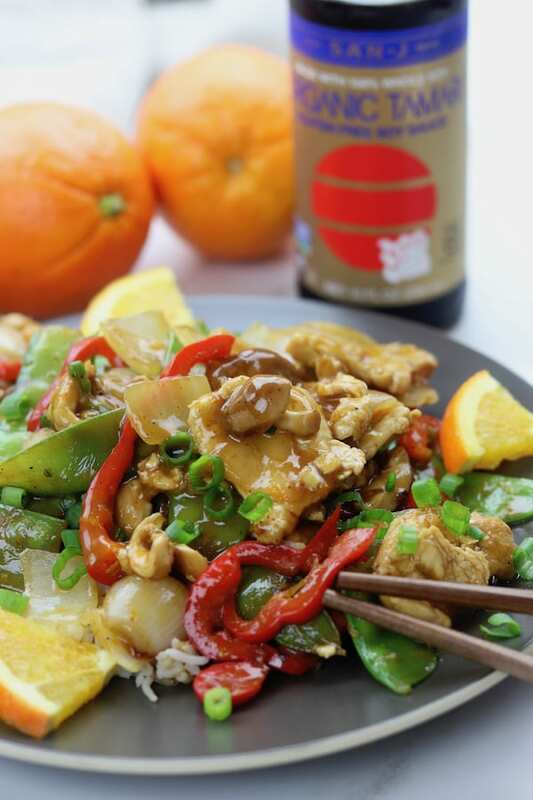 It has now been about 8 years since that first day when I found San-J and I have made some awesome tasting Asian dishes, like this Citrus Chicken Stir Fry, due in huge part to a great tasting Tamari. Tamari is a type of soy sauce that is generally made from 100% soybeans. Some versions of Tamari have a small amount of wheat added, whereas regular soy sauce is approximately 50% wheat and 50% soybeans. The good news is that San-J’s Organic Tamari is made of 100% soybeans and can be used wherever soy sauce is called for. Because of this San-J’s Organic Tamari is perfect for Celiac’s and those following a gluten-free diet. It tastes so good in this Citrus Chicken Stir Fry I couldn’t help myself but to sprinkle on a little bit more. 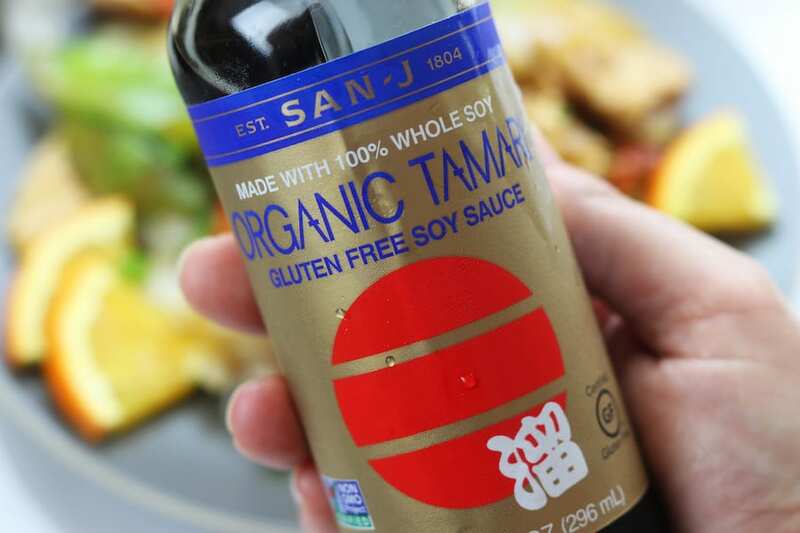 The #1 reason for me, San-J Organic Tamari is certified organic and made without any artificial preservatives, flavors, or colors that other brands of soy sauce may contain. The production of San-J Organic Tamari can take months to complete because it goes through many steps, one of which is fermentation. Many health experts believe that fermented soy products are the only safe soy products to consume. (1) (2) This is the 2nd most important reason for choosing San-J Organic Tamari. San-J Organic Tamari has a rich and smooth taste giving a wonderful flavor to all kinds of Asian dishes. The first time I tried it I was hooked on the flavor. Did you know that San-J also has a reduced sodium Organic Tamari? Talk about doing a happy dance! All San-J Tamari is certified gluten-free, kosher, vegan and Non-GMO Project Verified. On a side note, not only does San-J have an awesome Organic Tamari they also have a reduced sodium Organic Tamri in addition to a plethora of other Asian sauces and dressings. The secrets to making a really awesome stir fry are 1) a really hot wok over highest heat, 2) work in batches and 3) consistently toss ingredients with large wooden spoon while stir frying. By doing these 3 steps the wok stays hot and the ingredients cook quickly and evenly. The addition of 1 tbsp of fish sauce to the sauce adds a really nice depth of flavor. This is however an optional item. One lucky person will be gifted by San-J 3 bottles of Organic Tamari, 3 Tamari Travel Packs along with a San-J apron. To enter comment below and tell me what your favorite Asian dish is. That’s all!! Each person can enter multiple times and contest will last for 1 full month past date of publication. Winner will be chosen at random. ???????????? Thoroughly mix together all ingredients for sauce. Heat a wok or large frying pan over highest heat until just smoking. Add 1 tbsp sesame oil & tilt pan to cover oil over bottom. Add onions and stir fry for approximately 2-3 mins or until onions just begin to swear. Add shiitake mushrooms. Continue stir frying for another 3 mins, or until mushrooms begin to soften. Add water chestnuts and stir fry for 1- 1 1/2 mins more. Place onions, mushroom & chestnuts in a separate large bowl and return wok to heat. Let wok return to just smoking state over highest heat. Add 1 tbsp sesame oil & tilt pan to cover oil over bottom. Add snow peas and stir fry for 2 mins. Add bell pepper and continue stir frying for another 2 mins. Add to bowl with onions and mushrooms. Return wok to highest heat let come to almost smoking point. Add 2 tbsp oil and sliced chicken. Stir fry until chicken is cooked through, approximately 5 1/2 mins. Add chicken to cooked veggie bowl. Return wok to highest heat. Give sauce a quick stir and add to wok stirring sauce frequently. Cook sauce until thick, approximately 2 mins. Turn off heat and add chicken and veggies to pan with sauce. Stir well making sure sauce thoroughly covers str fir. 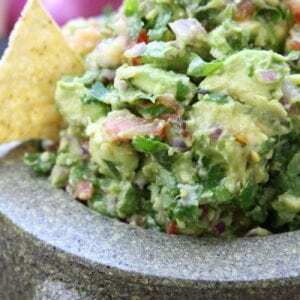 Serve immediately with rice, quinoa or on its own. 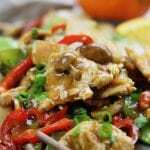 This chicken stir-fry looks oh so good!! Thank you Krsiten! San-J really is the best! I don’t know what I would do without their Tamari! That looks so good! 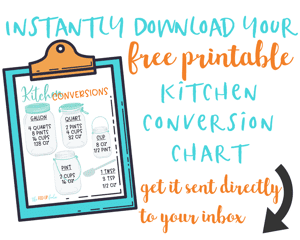 We love simple stir fries at home or Korean style marinades for the grill. Thank you Carlee! I LOVE Korean style BBQ also! Thank you Kim!!! I have to say I love Pad Thai myself also.???? What a great looking stir-fry! 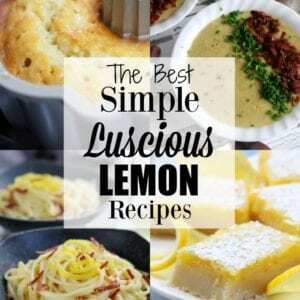 Love the citrus sauce. This stir fry looks amazing! Awesome flavors! Thank you! A huge part is due to San-J’s Tamari. ???? Oh that’s going on the list. I’ve never seen this soy sauce here in NC! I am so glad to hear! San-J’s tamari is so good and luckily many grocery stores are carrying it now ??? ?